Asha Pabla has worked for a number of leading textile and fashion companies in the United States. When not working, Asha Pabla enjoys traveling and experiencing new cultures, especially through food. One of her most recent trips was to Brazil, which has a number of incredible traditional dishes. When by the water, moqueca is a must. 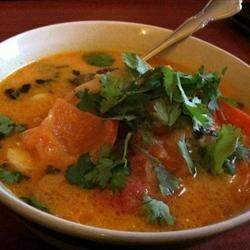 This fish stew features fresh tomatoes and onions combined with cilantro and one of two broth variations, one of which is flavored with annatto seeds, and the other which is a bit heavier with peppers and coconut milk. For an appetizer, travelers should try pao de queijo, which literally means “cheese bread.” The bread balls are crispy on the outside and filled with cow’s milk cheese on the inside. Because the bread is made from tapioca flour, it has a unique, light texture. People with a sweet tooth should find brigadeiro, which are chocolate truffles covered in sprinkles. Some variations come with strawberry in the middle. Another traditional dessert that is quite interesting is canjica, a bowl of white corn with condensed milk and coconut milk that is topped with a bit of cinnamon.